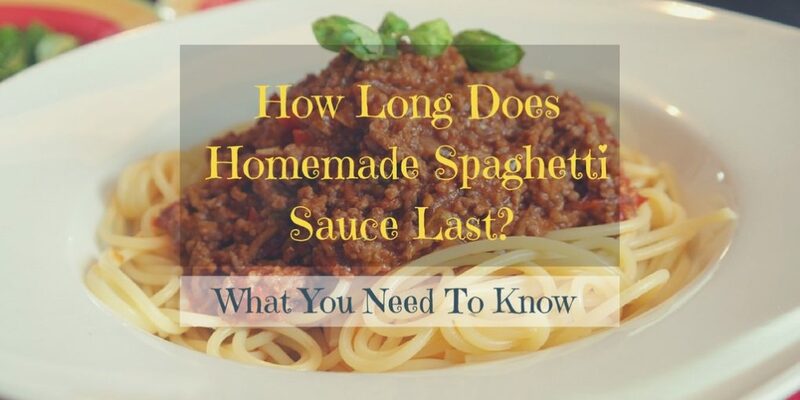 How Long Does Homemade Spaghetti Sauce Last? How ﻿﻿﻿﻿﻿﻿L﻿o﻿﻿﻿﻿﻿ng ﻿D﻿oes ﻿I﻿t ﻿L﻿ast? How ﻿C﻿an ﻿Y﻿ou ﻿T﻿ell ﻿T﻿hat ﻿T﻿he ﻿S﻿paghetti Sauce ﻿H﻿as ﻿S﻿poiled? This will depend on various factors. As soon as the sauce is opened, it should be kept in the fridge. Ensure that it is used within the 10 days. 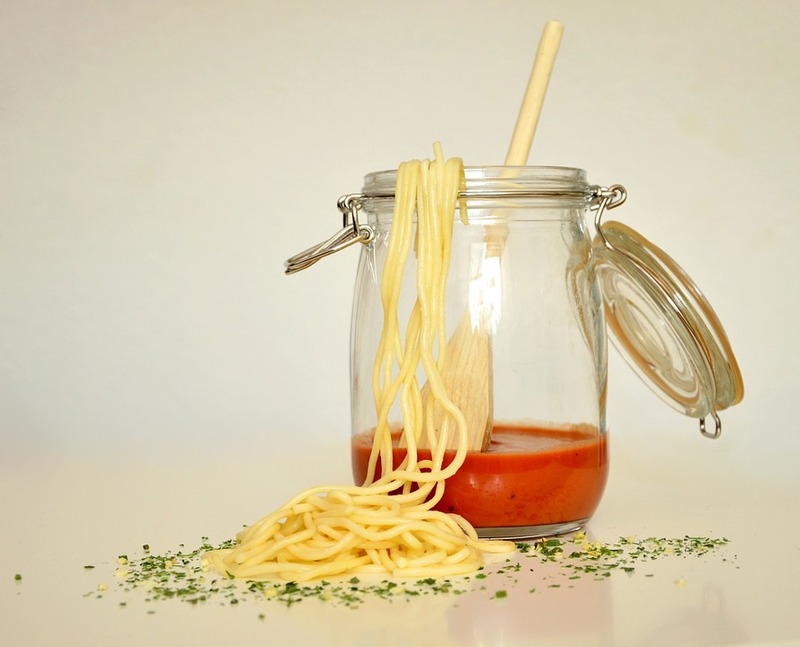 Even if the spaghetti sauce is from a package, can, a jar, or homemade ﻿sauce it should be kept properly after opening. Most of the pasta sauces don’t have preservatives. If it has stayed in the fridge for about 5 days, it should be cooked. Discard the sauce if it has stayed for more than 10 days. The temperature of the fridge will also affect the shelf life. Other factors include the exposure to bacteria and any contamination that may occur before you store the sauce. When prepared in a dish, the sauce will depend on the quickest expiring ingredient in the dish. How Can You Tell That The Spaghetti Sauce Has Spoiled? Most sauces have a best by date. This is because like any other condiment, they can be used after the date safely. The sauce should be kept properly to ensure that it lasts longer. Food poisoning can be caused due to poor hygiene and lack of food safety techniques. If the spaghetti sauce has gone bad, its color will change from red to maroon. The consistency gets thicker after some time. Even if it is in the fridge, molds will start forming after the best by date. The spaghetti sauce that has gone bad should be discarded immediately to avoid food poisoning. The spaghetti sauce can stay longer if it is kept well. You can store it in the fridge in a container that can be sealed tightly. This will ensure that the sauce does not come into contact with bacteria and other contaminants. If you want to store it for a very long time, you can keep it in the freezer. Use a freezer safe container. If the food is stored well, you will eat healthier, reduce the food costs, and prevent the environment. It is easier and simple to make the sauce at home. You can make it from scratch. Season the ground beef with pepper and salt. Cook it with the onion to brown. Use a large ﻿skillet. ​Add the tomato sauce, Italian seasoning, garlic powder, tomato paste, parsley, red pepper, sugar, and the Worcestershire. ​Stir the mixture well to ensure that they combine. Add water and stir. ​Lower the heat and simmer for about 30 minutes. When ready, serve over your hot pasta and enjoy. The shelf life of the homemade spaghetti depends on the storage conditions. It should be kept in the fridge within the two hours after cooking. ​Use airtight containers to store that pasta sauce in the fridge. This will ensure that the shelf life of the sauce is maximized. 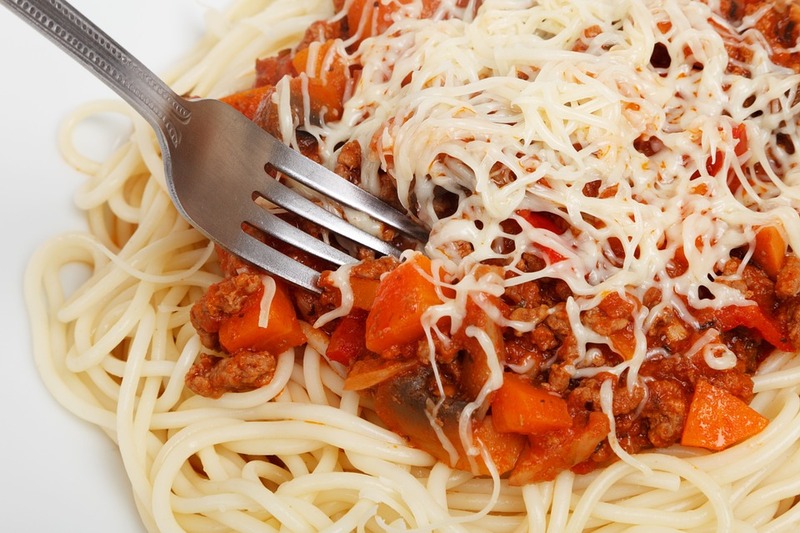 ​The cooked spaghetti sauce will only last up to 4 days in the fridge if it is kept properly. The sauce that has been thawed in the fridge can be kept in the fridge for up to 4 days before cooking. If the sauce is thawed in water or microwave, it should be eaten immediately. ​If the sauce is left for more than 2 hours at room temperature, it should be discarded. This is because bacteria grow rapidly between 40-140 degrees F.
If the sauce has a bad odor, flavor, changes in color, and has mold, it has gone bad. Discard it immediately to avoid food poisoning. 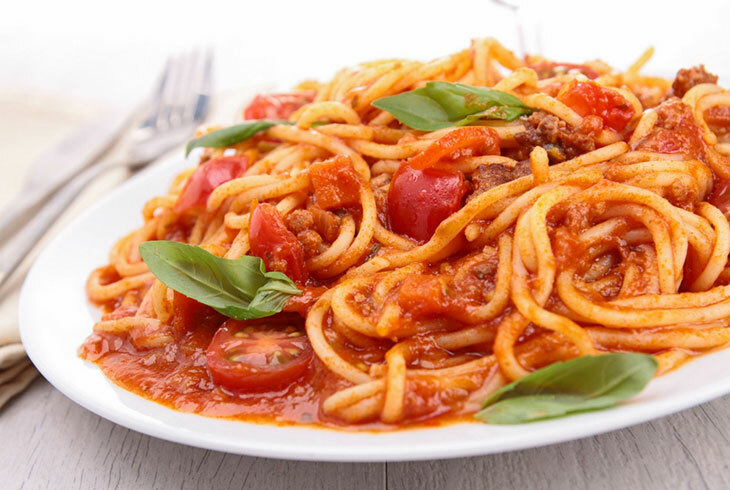 The spaghetti sauce as any other food can go bad easily if it is not stored properly. To extend its shelf life, it should be kept well. Store the sauce in the fridge using an airtight container. It can last up to 4 days in the fridge and up to 6 months in the freezer. Do you have experience with the homemade spaghetti sauce? Feel free to share in the comments section.